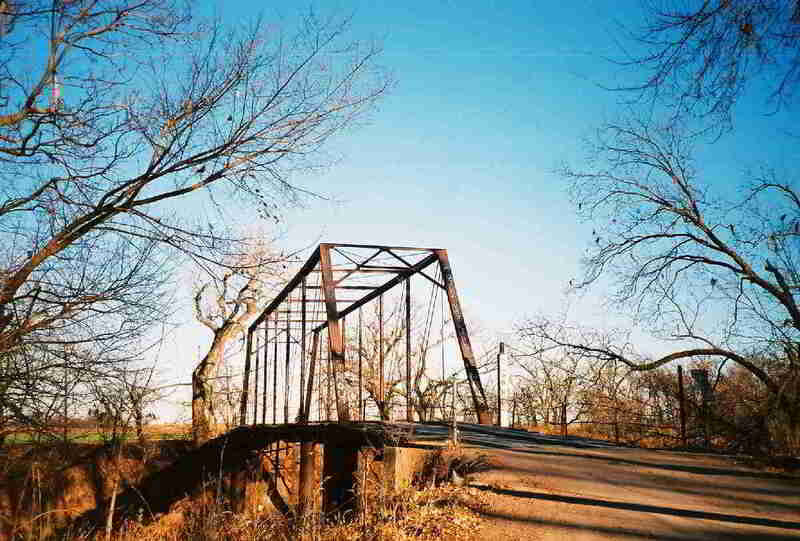 Hidden in Kay county was this 8-panel, 135-foot long pin-connected Pratt truss bridge. This bridge has a weight limit of 3 tons and an all wood deck structure. The stringers and deck are all wood. The bridge has also been injured, as was evident by several pieces of steel welded on to its members. The bridge has a slight sag to one side, due to the fact that the repairs did not restore several of the compression members to the proper length. On the other side of the bridge, a pipe suspension bridge shares the bridge's piers. The date given is 1930. The bridge stands on lally column piers.